Did U.S. investors complete the U.S. E&P’s revolutionary transformation of the global oil market at the end of February? Until only a few weeks ago, bankers, executives and investors had assumed the capital markets were closed to the energy sector, which is laboring under oil prices that have fallen almost 70 percent from the summer of 2014. Then, in early January, a handful of companies with assets in the prized Permian Basin in Texas successfully tested the waters. Now "the window is clearly open" for almost everybody, Tudor, Pickering, Holt & Co. said. When representatives of major world crude producing countries meet in Doha in April to discuss—without the U.S. E&P industry’s participation—a production freeze (on the way many of them hope eventually to production cutbacks), they will be unable to restore the pre-November 27, 2014 global crude order. In the emerging dog-eat-dog new market order, only the fittest producing countries will grow their crude industries and prosper, while the weakest will experience stagnating if not declining output. Furthermore, while low production costs will remain important, they will not be decisive: access to import markets and capital will be equally if not more important. Prior to the November 27, 2014 OPEC meeting in Vienna, most oil industry players expected crude prices to remain above $100+ into the future. Crude had spiked above $100 in 2008 (and averaged $96.94 for the year), regained the $100 average annual mark in 2011, and chugged through 2014’s first eight months above $100, before falling to $97.09 in September and ending December with a $62.34 average annual price. As the world entered 2014, few saw significant threats to $100+ crude. That the P5 +1 countries would reach agreement with Iran on its nuclear program, lift sanctions, and ease restrictions on Iranian oil exports appeared unlikely. Many authoritative observers, including Russian and Saudi officials, underestimated North American shale’s potential impact on crude supply, citing rapid decline rates. In any case, so the thinking went, with the Chinese economy and China’s appetite for commodities booming, demand would be sufficient to absorb any incremental U.S. and Iranian supplies and keep the market balanced. And, if Chinese demand faltered, the Saudis would step in and play their traditional swing producer role. Crude at $100+ lulled industry and financial investors into complacency and covered a multitude of sins, among them political risks (Venezuela, Nigeria) and security risks (Iraq, Libya, Algeria); high development costs (Eastern Siberia); and technological challenges (Arctic, Arctic off-shore). On the demand side, market access was not a concern: if you could produce it, you could sell it! Absent an economic crisis, demand would be sufficient to absorb incremental output. U.S. crude import demand might decrease, but a voracious China and developing Asia seamlessly would take the import growth baton. Complacency will no longer work. Countries that lack readily available spare capacity will require capital just to maintain, much less increase, capacity and output as prices rise. Few countries, beyond the U.S., Canada, European countries, Saudi Arabia and their Gulf Arab allies, and China have the domestic financial resources to fund their crude industries. Related: What Happens When Oil Hits $50? Other OPEC countries, including Iraq, Nigeria, Angola, Ecuador, Venezuela and Iran don’t (a Bloomberg article estimates the Iranian government will have no more than $6-$7 billion to spend from unfrozen assets), Mexico doesn’t, Brazil doesn’t, and Russia too is capital-constrained. For countries that lack domestic sources of capital, attracting foreign industry and/or investor capital is imperative—but will be difficult. Attracting capital depends on having a high-degree of certainty—confidence in the estimated potential return on investment—in both the global and country-specific crude environment. Attempting to understand how the oil market will look during the next five years is today a task of enormous complexity. Some certainties that have guided our past outlooks are now not so certain at all: that oil prices falling to twelve-year lows will lead to a strong demand growth spurt; that oil prices falling to twelve-year lows will lead to a mass shut-in of so-called high cost oil production; and not least that oil prices falling to twelve-year lows will force the largest group of producing countries to cut output to stabilize oil prices. Consensus is absent on the path of crude prices—short-term, medium-term, and long-term. Some believe the recent increase in crude prices marks a durable rebound from the ~$25 bottom reached in February, while others believe prices in the near future once again will fall into the $20s before the bottoming process is complete. The range of estimates for year-end 2016 is also considerable. Some observers project prices at $70+ by year-end 2016, others at no more than $40, at best at $50. Last year, there were 800,000 barrels of oil a day unaccounted for by the International Energy Agency, the energy monitor that puts together data on crude supply and demand. Where these barrels ended up, or if they even existed, is key to an oil market that remains under pressure from the glut in crude. Some analysts say the barrels may be in China. Others believe the barrels were created by flawed accounting and they don’t actually exist. If they don’t exist, then the oversupply that has driven crude prices to decade lows could be much smaller than estimated and prices could rebound faster. Views also diverge on the prospects in Iran and the U.S., two major contributors to 2015’s surging crude surplus. Iran continues to assert it will achieve its goal of producing an incremental 1 million barrels/day within a year of sanctions’ end—yet so far, Iran has managed to increase output just ~250,000 barrels/day—half the increase it promised to achieve within weeks of sanctions’ end. Pessimists also argue that U.S. production will snap back quickly as prices increase, which would cap the increase. 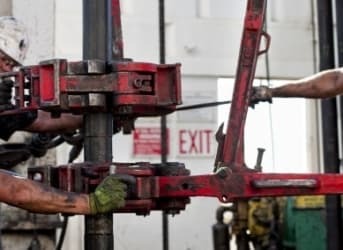 However, a recent Wall Street Journal article reported that it will take considerable time for U.S. shale producers to bring back laid-off manpower and idled equipment in order to ramp up production. Individual countries will have their own challenges in attracting foreign capital (and resources). Budget deficits caused by low crude prices will limit the share of oil revenue that oil-revenue dependent governments will be able to offer foreign industry and financial investors to invest in their industries. The bloom is off the Iranian investment boom rose. Iran’s “Supreme” leader Khamenei March 20 complained that the U.S. has removed sanctions “on paper only” and continues to block Iran’s access to Western banking services. Iranian companies and business people echo this complaint. Bloomberg quoted Maryam Kiaie, business development director at Tehran-based Rah Shahr International Group as saying that, “I don’t see any big banks coming here in the next five years”. While Gazprom has just managed successfully to float a SF 500 million bond in Europe, Russia is struggling to raise funds to close its budget deficit and Novatek to complete its Yamal LNG project in 2017. Without certainty, industry (and their bankers) and financial investors will hesitate to invest. If they decide to invest, they will limit the amount they risk, demand higher returns to compensate for the risk, and shorten the payback period (in other words, no complex, lengthy, and expensive development projects). Financial and industry investors will also take into account the potential market for exported crude—and large reserves and low production costs won’t matter if a market doesn’t exist for the output. They won’t be able to count on the North American demand—historically the world’s largest and most stable market for crude exports—as they have in the past. North American producers have advantages over non-North American producing countries that depend on exports to absorb their excess output and fund their governments. First, transport—crude in North America generally moves through an integrated continent-wide and largely pipeline-driven system, while non-North American crude must go through a number of extra steps and expense to reach North American customers. Second, when WTI sells at a discount to non-North American grades, non-North American producers lose revenue if they divert their crude to the U.S.
As the following tables (from EIA data) show, U.S. and Canadian producers have exploited their location in this market steadily to increase crude (first table) and petroleum product (second table) output and displace non-North American competitors. (In 2015, crude imports from Canada jumped 570 thousand barrels/day, while product imports slumped 548 thousand barrels/day). Mexico is reforming its oil industry to revivify domestic output and participate in this process. Not only are North American producers displacing non-North American imports from the U.S. market, U.S. producers are competing for share in foreign crude and petroleum product import markets (displacing suppliers that once supplied these foreign import markets): Related: After Years of Fracking, What do We Know? “Three months since the U.S. lifted a 40-year ban on oil exports, American crude is flowing to virtually every corner of the market and reshaping the world’s energy map. For the crude industries in many countries, fresh investment at best is several years away. As demand begins to outpace current output, crude in storage will be used to satisfy excess demand. As storage volumes approach normal levels, the few countries and industries with spare capacity will increase output to meet excess demand, while those with access to capital begin to plan for and develop new capacity. By the time confidence is sufficient to consider investment in capital-poor countries and industries, it may be too late: the countries and industries with capital may have developed sufficient capacity to limit the export markets for the have nots.